This past December, the Working Method Contemporary gallery was accepted to show in Fountain Art Fair as part of Art Basel Miami Beach. This exhibition gave associated graduate students the opportunity to show their works alongside world renowned artists and galleries. 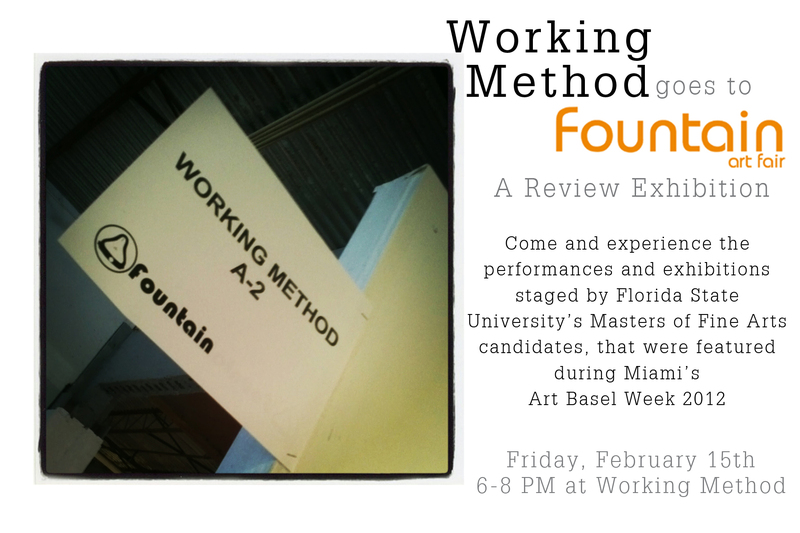 Working Method Contemporary will be hosting a retrospective exhibition of works presented at Fountain Art Fair on Friday, February 15 from 6-8pm.